You must see Warframe server status before playing the game online, is Warframe down today? The graph & map available here shows you history and current outages for Warframe game. 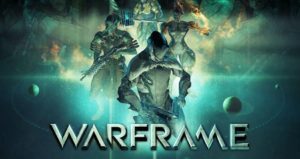 The game is developed by Digital Extremes and is a third-person shooter game, Warframe is free to play and is available for MS Windows, Xbox One and PlayStation 4 console boxes. The game is published by Digital Extremes, Warframe was released for Windows and PlayStation 4 in 2013, for Xbox One it was released in 2014. There are two types of modes in game, single-player and multiplayer players can choose any one of it to play Warframe. The problems with the server do occur and can be related to complete server outage, there can be some other problems including some errors and issues while loading game. The common error other than full Warframe server outage includes issues with connectivity, problems with login, lag in gameplay, weapons mode is disabled, error messages on screen and some other minor problems which don’t affect the Warframe gameplay. If you are today not able to access the Warframe game servers, than you must check out the server status with the tools that we have provided here.